Comparison between the German FSK 18 DVD (identical with UK BBFC 18 VHS) and the uncut DVD by CMV (JK). 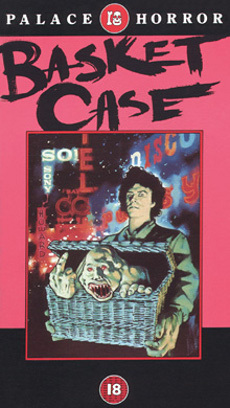 Basket Case is the first part of the cult trilogy about the siamese twins Duane and Belial Bradley. Despite the fun splatter attitude of it's successors, this is a classic of the modern horror movies of the 80ies. The German FSK 18 VHS release is identical with the old british VHS (checked by Eiskaltes Grab). The UK BBFC 18 DVDs are uncensored. Cut Version = 85:08 min. Uncut Version = 87:12 min. Total length of cuts = 2:04 min. 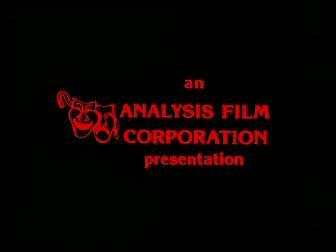 00:00 The uncut DVD starts earlier and one can see the logo of the producing company. 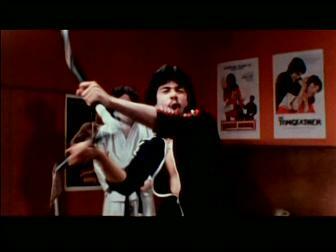 21:12 When Duane watches an Eastern in the cinema a shot is missing showing someone using nunchakus. 29:58 When Belial attacks Dr. Needleman the end of a shot of his face is missing. Blood is dripping out of his mouth. 30:01 Needleman screams and blood sprinkles on his face. 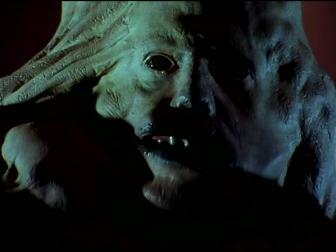 39:05 Shot of Belial scratching the old man's face. 39:07 Again the man's bloody face. 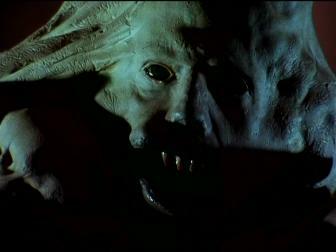 69:51 When Belial attacks Dr. Kutter the shot of him putting his hand into her mouth is longer. 70:05 He tears her tongue out and blood is pouring out. 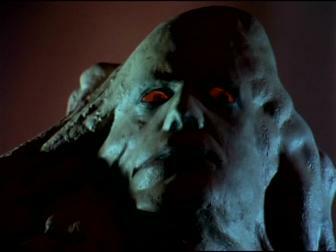 70:13 Belial sits on Dr. Kutter's neck. She screams. 70:18 Ditto. In the cut version a shorter shot that starts a few seconds later has been used. 70:23 again a scene in which Belial sits on her neck and presses her face down. 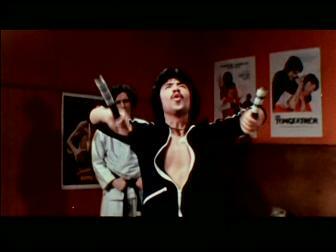 Now the scene that could already be seen in the cut version follows. 70:25 Beginning of a shot. 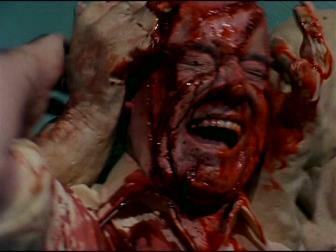 70:26 Beginning of the shot in which Belial presses Dr. Kutter's face on the surgical instruments. 70:40 Shot of Kutter's face. Scalpels are sticking out of it. She screams and breaks down. 80:47 Belial chokes Sharon and gropes her. She screams and wreathes on the bed. 80:48 Belial's eyes start to glow. We then see him gliding down Sharon's lifeless body. 80:51 Belial is sitting moaning on Sharon. Duane comes in, drops the basket and pulls his brother down from Sharon. 85:08 In the uncut movie the ending credits are longer.